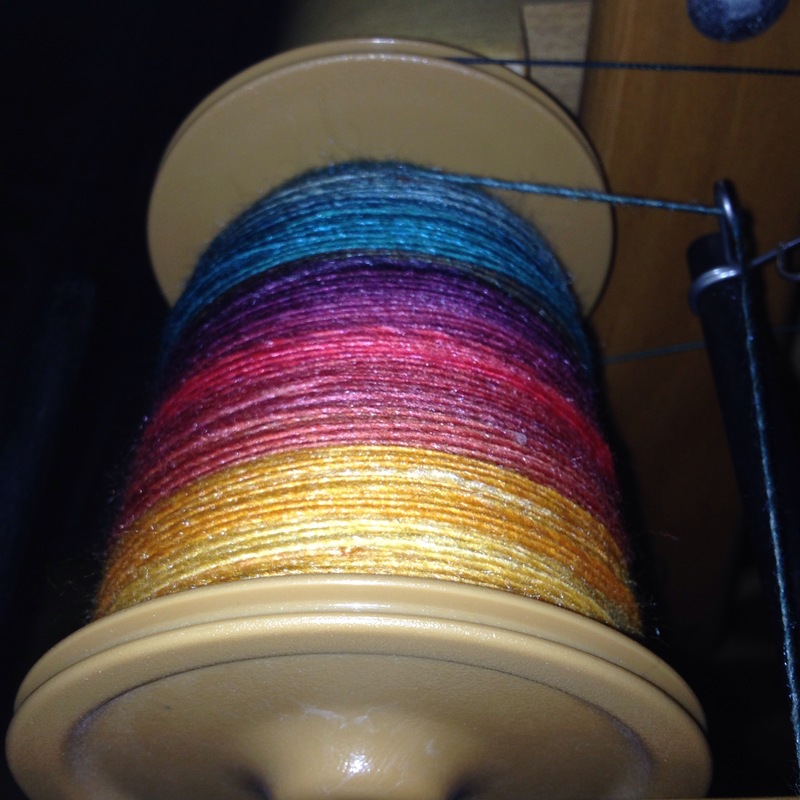 I finished spinning singles on my spindles, both drop and support. Well, if we are honest, the drops weren’t all mine. I’ve got one, but Marja loaned me a bunch. But, I finished 4 oz. of fiber and I wanted to ply it up asap. Except, I realized that I also had singles on my wheel, and I really never feel like pulling a project off the wheel just to have to put it back on after plying. So, I worked on those singles last evening. It’s gonna take me another evening to finish them up, but spinning progress is so satisfying! Oooooooohhhhhh those colors are heavenly!!! !